There is no record that the horror house in California where 13 starving siblings were found was ever inspected by the fire department as required by law, a city official confirmed Thursday. That could explain why Perris city officials had no idea that David Allen Turpin and his wife, Louisa Anna Turpin, were allegedly torturing their children until Sunday, when their 17-year-old daughter escaped and used a cellphone she found in the house to call 911. The revelation came a day before the couple were expected to make their first court appearance to face possible torture and child endangerment charges. 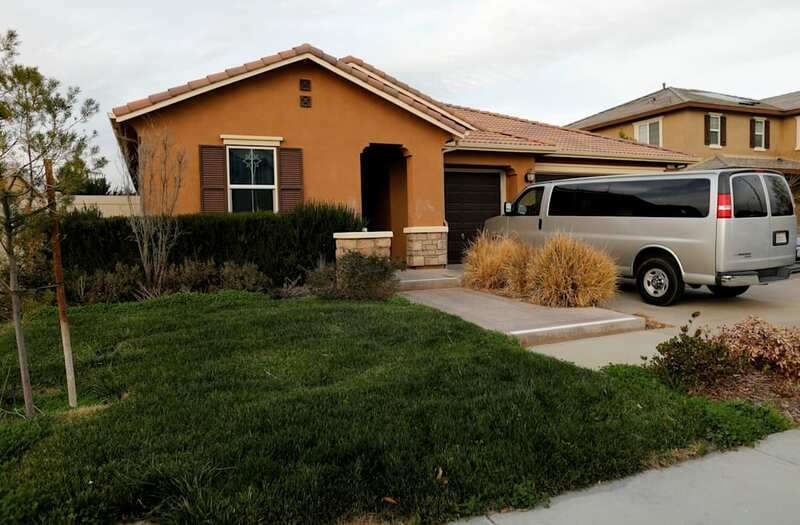 The tan stucco house that the Turpins called home was required to have annual fire inspections because David Allen Turpin had gotten state approval to run a private school called Sandcastle Day School on the site and he was listed as the principal. But when The Associated Press asked for the inspection records, Perris Assistant City Clerk Judy Haughney said there weren't any. And city Fire Marshal Dave Martinez did not return a call from NBC News seeking an explanation. No state agency regulates or oversees private schools in California, but they are subject to an annual inspection by the state or local fire marshal. "The Turpins failed to contact the City of Perris regarding the operation of the school and never sought a business license from the City," the spokesman said, adding that the state recommends that "private home-based school operators check with local authorities regarding local business licenses but does not mandate fire inspections." All 13 of the Turpin children, ages 2 to 29, have been admitted to hospitals for treatment for severe malnutrition. The Turpins had little contact with their family back in West Virginia, and shocked relatives have told NBC News that they had no idea what they were allegedly doing. "We always thought she was living the perfect life," Teresa Robinette, Louisa Anna Turpin's sister, said in an interview conducted in Knoxville, Tennessee. "She would tell us they went to Disneyland all the time, they would go to Vegas." The secret of the house on Muir Woods Road began to spill out on Sunday when the Turpins' 17-year-old daughter escaped through a window and called 911, the Riverside County Sheriff's Department reported. "Further investigation revealed several children shackled to their beds with chains and padlocks in dark and foul-smelling surroundings, but the parents were unable to immediately provide a logical reason why their children were restrained in that manner,” the statement read. It was only after freeing them that deputies discovered that seven of who they thought were severely emaciated kids were actually adults "ranging in age from 18 to 29."